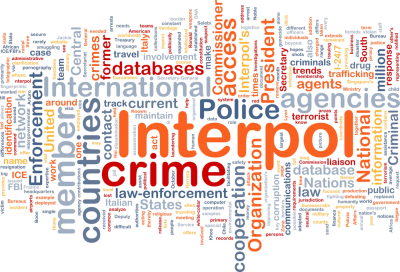 INTERPOL is an international organisation providing a shared database and communication channel to police forces from various countries. This international cooperation allow for assistance in circulating information about wanted persons. A Red Notice is an alert that is published by INTERPOL on its database upon the request of a country’s police force, referred to as a National Central Bureau. The purpose of a Red Notice is to inform law enforcement officers that a country is seeking the arrest of a particular person. The Red Notice will have information about the wanted person including the name, date of birth, nationality, photograph and a description of the charge the person is ‘wanted’ for. If a person is subject to a Red Notice, there is a risk that they will be arrested. How do I find out if I am on the list? INTERPOL’s website contains a ‘wanted persons’ section which contains extracts of some Red Notices, however, not all Red Notices feature on the page. The rest of the notices are available on restricted networks visible only to law enforcement authorities. There is no obligation on INTERPOL to grant requests, they first need permission from the relevant country that requested the Red Alert. How can I be removed from the list? Ask the authorities of the country which issued the Red Notice to remove the information following their laws and procedure. Legal Advice will be needed to take this step. Ask the authorities in the country where you live to ask INTERPOL to remove your name from the database. Legal assistance will be required to pursue this option. Write to the Commission for the Control of INTERPOL’s Files and ask it to recommend the deletion of your information. INTERPOL’s rules are very complex and it is best to contact a legal representative to challenge the Red Notice. Article 3 of INTERPOL’s Constitution which forbids INTERPOL from engaging in political, religious, military or racial activities. In the application, try to draw on these aspects of your case and why they would justify removal.Example: For a political justification, explain the nature of the offence and why they are considered to be political, your political status in the country and the relationship with the country, why the country may be pursuing you on political grounds and the general political context of the case. Article 2 of INTERPOL’s Constitution which requires the organisation to act within the spirit of the Universal Declaration of Human Rights. 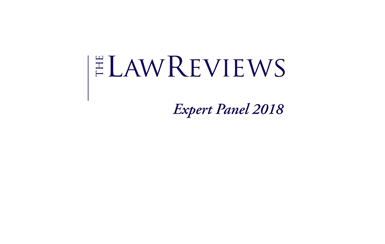 Here, you should make reference to Human Rights matters that you believe are relevant to your case including Freedom of speech, Risk of torture, Evidence used against that you that was obtained by torture and the Death Penalty. Breach of INTERPOL rules known as the Rules on Process of Data which can be obtained on INTERPOL’s website.In this area, you should show that the Red Notice should not exist because it does not fulfil the purpose of international police cooperation, it was not used for its intended purpose, it was used on the basis of a police offence which raises issues of behavioural or cultural norms or it does not meet the minimum sentence threshold (at least 6 months imprisonment). What could happen after the request? The Commission for the Control of INTERPOL’s Files meets three times a year. This means that a response will take approximately 6-8 months depending on the speed of correspondence between the commission and the country that issued the notice. That no change should be made. There is no appeal to a decision once it is made and a new application will only be reviewed where there are new facts. These facts must be such that they would probably have caused a different conclusion to the decision in the first complaint.